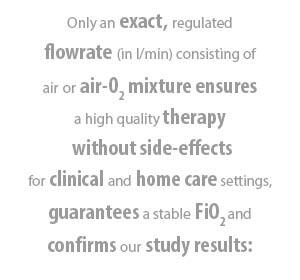 it is our aim to spread the word about Therapy with Nasal Insufflation (TNI) - the evolution of Nasal High Flow (NHF) therapy - and the company TNI® medical AG behind it! Our website continually informs you about product innovations, application recommendations as well as scientific publications and events. At the TNI symposium “Nasal High Flow: the better alternative?“ at this year's conference of the German Society for Pneumology and Respiratory Medicine (DGP), the latest clinical knowledge in the field of the NHF was discussed. You can gain an insight into the symposium here. 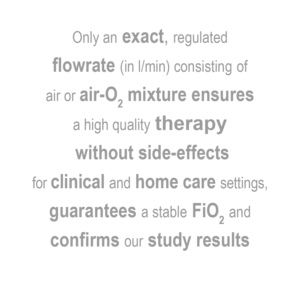 See for yourself the clinical effectiveness and the comfort of TNI and therefore, of TNI as a real alternative to NIV in clinical and outpatient respiratory support. Your patients will thank you.